Lelio will explain how the name Bulgari, proudly representing the exquisite nature that is Italy, has become synonymous with brilliant colors, symbolic storytelling and unrivaled craftsmanship for over 130 years. Then the focus will move to the most iconic complicated watches, requiring considerable manual work from the best Italian artisans. Extraordinary Bulgari creations will be displayed at the event venue. We expect the Italian Ambassador Andrea Perugini and his wife Mariska Perugini-Visser will attend the evening, which is a great honor for us. There will be plenty of opportunities for networking over the standing dinner, prepared by Italian Chef, Elio Caramma. Elio has been working for VIPs in Italy and in the Netherlands; in Milan he held several show-cookings at EXPO 2015 and in The Hague he worked as chef at the “Societeit de Witte” and at some prestigious hotels. Recently he launched a new project: the Pasticceria “Duci” (meaning “sweets” in Sicilian slang), which can be also booked for private dinners. Elio will prepare a 7-course tasting menu inspired by the theme of the evening. Please note that for technical and security reasons places are limited and will be allocated on a first come first served basis. Cost doesn’t include the ticketing service charge (99 cents) and different transaction fees apply depending on the payment method you choose. 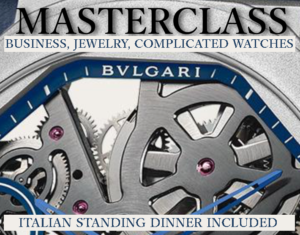 An entry ticket includes: Welcome drink + Bulgari Masterclass (in English) + Standing dinner from Italian Chef, Elio Caramma (7-course tasting menu; drinks, not included, can be ordered at your own cost). Note: Tickets are non-refundable. 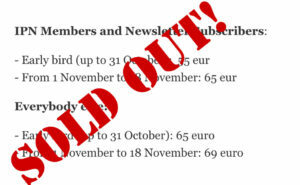 Dinner will be served before, during and after the Masterclass. 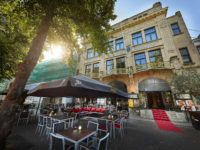 We look forward to meeting you all on Sunday 18 November at 17:30 at the first floor of the Cafè Pathé Buitenhof, in the Ballroom of the ex-Restaurant des Deux-Villes, in The Hague (10 minutes from Central Station). Address: Buitenhof 20, 2513 AG, Den Haag.